The club now meets in Corstopitum Social Club on St. Helens St in Corbridge, postcode NE45 5BE. As before the club will meet at 7.00pm each Tuesday,with matches starting at 7.15pm. 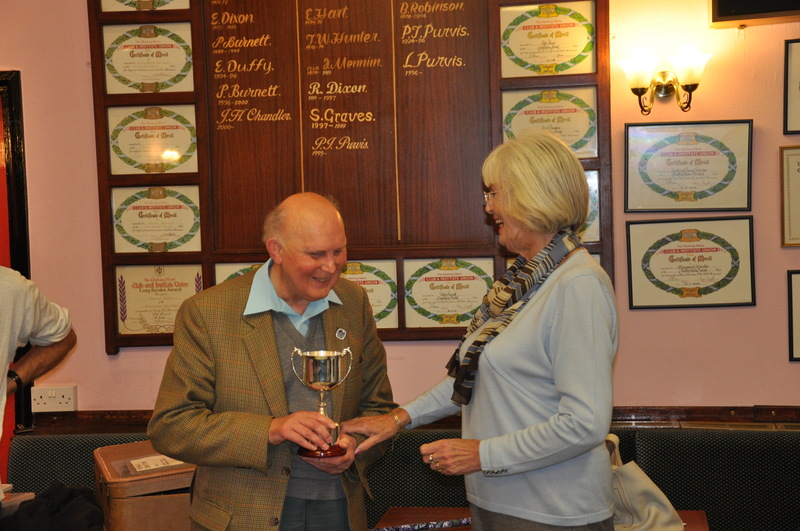 Welcome to Tynedale Chess Club’s new website! The website is run by Tim and David Wrigley. Members of the club are welcome to contribute, please contact Tim or David for help and assistance. We would like feedback. Tell us what you would like to see on the website. Many thanks to Chris Wardle, who has kindly allowed us to use the NCA League website as an inspiration. 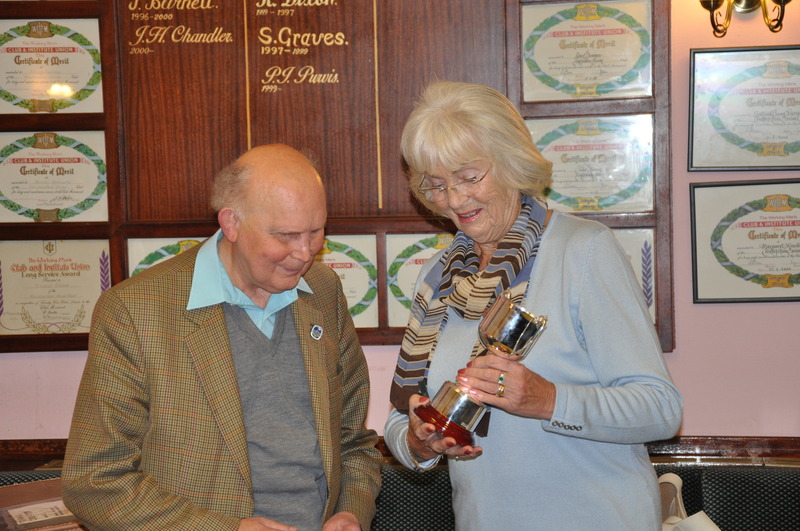 Please note that the views expressed on this website are those of individuals rather than Tynedale Chess Club. It is not our intention to cause offence and any inappropriate or unsuitable material will be removed. Please let the website adminstrators know if you unhappy with any of the contents. To help avoid any problems we have included some guidelines above for contributors. 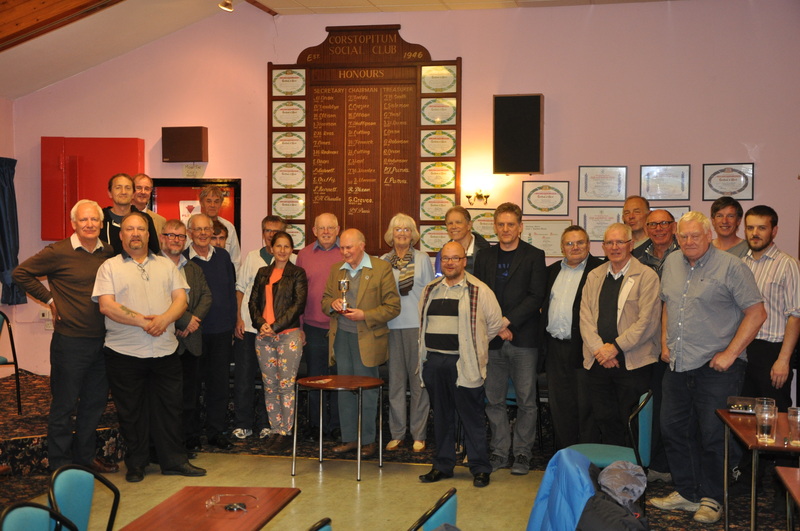 Three club members took part in the 52nd edition of this event, Held in North Shields on September 23-25. In the Major, for players graded 165 and below, Tim Wrigley (148) was seeded 15th of the 39 entrants. In round 1 he had a fine draw against the top seed, Kevin Wilson (169 in the August grading list) of Darlington. Tim ,with black, offered a draw after 2 hours of play. The offer was finally accepted after three and a half hours! In round 2, Tim had white against John Marsh (141) of Leam Lane. Tim went queen and pawn to rook and bishop up and duly converted. In round 3 he played Stephen Hall (161) of Hetton. On losing a queenside pawn, Tim pushed his f, g, and h pawns in desperation, Stephen pulled his pieces back and Tim pinned one of them, winning the exchange and later the game. In round 4 he played Usai Mauro (160) and, in his own words, swindled a draw from a lost position. The final round saw him play the second seed, |Graham Ashcroft (165). Tim resigned when 2 pawns down in an endgame involving pawns and two rooks each. So he finished on a very creditable 3/5, recording an average score in the low 160s – well done, Tim! Steve Larkin (120) was seeded 20th of the 44 entries in the Minor, for players graded 135 and below. He took a bye in round 1, and in round 2 had white against Faithful Richard, graded zero. This grade had not stopped Faithful drawing with Stan Johnson in round 1, nor did it stop him taking Steve to a King and 6 pawns each ending, which Steve managed to win. In round 3, Steve had black against Norman Anderson (124) of York and, by a crass miscalculation, he lost a bishop for a pawn on move 11. Game over, it seemed, until Norman allowed Steve to fork his queen with a knight check on move 19. Queen to bishop and knight up and the game was on once more. Steve went on the attack with queen and rook, only to see his exposed king trapped in a mating web involving rook, bishop and knight. In round 4, Steve had white against Dennis Beagarie (110) of Tynemouth. Steve did most of the pressing but was unable to find a way through and a draw was agreed. Finally, Steve had black against Brian Whittaker (110) of Thornaby and was given an object lesson a) in how to deal with the French Defence and b) in how to launch an unstoppable sacrificial attack. His final score was 2/5 – should do better! In the Foundation event, for players graded 105 and below, Dave Humphries (c75) was seeded 10th of the 13 entries. He took a bye in round 1, and in round 2 faced young Harry Wilson. In their first game Dave, with white, allowed a bishop to be trapped and lost. In the second, with black, he was a pawn down but still very much in the game when his time ran out. Sadly, he had an enforced bye in round 3. He made up for this disappointing start with 4 wins on the Sunday against two youngsters, Roshan Gupta and Will Walmsley, both of whom, if Dave is to be believed, are relative newcomers to the game. He finished fourth equal in the event. So the Tynedale flag was flown at the Congress with mixed results, with Tim certainly making an impressive start to the season. A fine win for Derek against Gary Cornwall meant that a heavily outgraded team of Derek, Peter Booker, Dave Foster (Jnr) and Damian beat Tynemouth B 3½-3 thanks to a 2½ point handicap. Held on June 3rd, 4th and 5th at Grange-over-Sands, this congress was as ever well supported. I was the only Tynedale member taking part, but there was a significant Carlisle contingent present, as well as players from several Tyneside clubs. I entered the Minor 1 section, for players of 130 and below (there was also a Minor 2 section for players of 110 and below). I took a bye on the Friday night, and on Saturday morning found myself with black against the second top seed (I was ranked 19th 0f the 35 entries), Marcel Taylor (129) of Radcliffe and Bingham. The game was a close one throughout, though Marcel declined my offer of a draw after about two and a half hours of play, only to accept another offer when we had about 8 minutes of the four hours’ playing-time left! There was just about an hour’s break before another four hour session, this time with white against Tim Bowler (120e – those estimated grades always spell trouble!) of Maryport. With fatigue kicking in, I made a hash of the opening third of the game and for a while was in serious danger of being swept off the board. Somehow I managed to stabilise things and emerged into the endgame just one pawn down. The situation finally resolved itself into queen and 5 pawns against queen and four, but with the pawns scattered, it was easy enough for me to hold the position together and we agreed a draw with about 8 minutes left again! To say that I was tired as I left the venue at 6.30 p.m. with a 70 minute drive ahead of me is an understatement! I certainly didn’t feel confident about my prospects on Sunday, and that feeling was reinforced on finding that I was due to play Martin Beardsley (115) of Gosforth, who had beaten me in our final league game just a few weeks earlier. I opened as black with the French Defence, to which he responded in a most unorthodox manner. The threat was that he would block me in on the queenside, and leave me totally undeveloped on the kingside. As things turned out, I managed to get queen, rook and both bishops fully operational on the queenside, and when it became clear that he could not prevent me winning at least one piece, Martin resigned. We had played for just 90 minutes, so I had over three hours in which to relax before the final round – bliss after yesterday! In the afternoon, I had white against an old friend, Ahmed Abbas (116) of Manchester 3Cs. He too had experienced some long games and we both joked that a quick finish was desirable, especially given how nice the weather was! And a quick finish we had. The game was over in 55 minutes as my kingside attack tore open his position. The game came down to rook and 6 pawns for white and rook and 3 pawns for black. When I succeeded in forcing a swap of rooks, Ahmed resigned and we both headed for home early! 3.5/5 was my best congress result for quite some time and it came as a very pleasant surprise. Interesting too that one can sweat for nearly 8 hours to achieve a couple of draws, then pick up two wins in less than a third of that time!